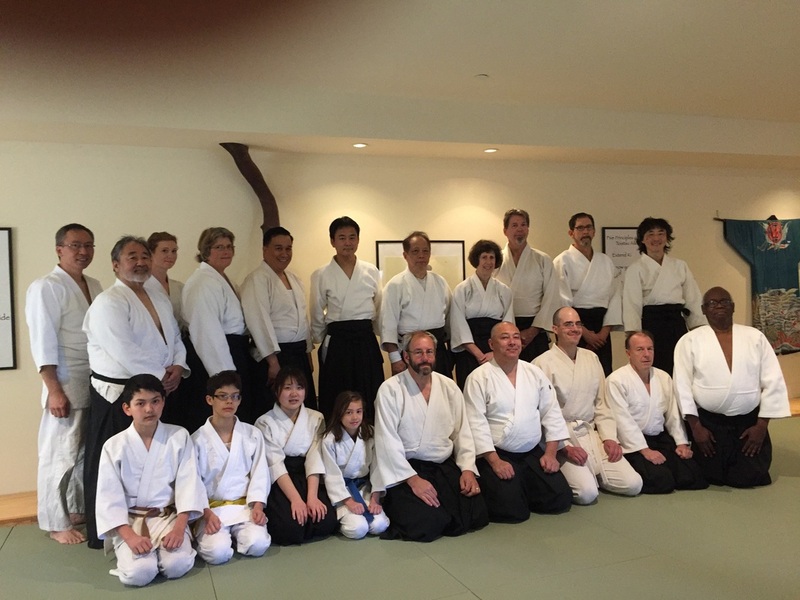 A very big thank you to Korn sensei for the use of his most comfortable dojo. Most importantly, everyone exhibited great improvement in our understanding of Soshu’s principles. I credit this to our openness to correcting collision and to addressing our basic starting position (both mental and physical). I was truly amazed at the level of basic ken kiru (sword cut) especially from the newer students. If you only knew how long it took me to get close to this level. Please continue to train using non collision as our guide. Our goal is, not to be able to overcome resistance or collision but to become “one” and join. Using the best examples of a “good” ki test we must strive to exhibit the same smooth non collision when training. It is better to error on the side of relaxation (as in not being able to move someone who is obviously tense) then to exert power and tension to “show” them they are incorrect. I saw many examples of the latter and could not correct them all directly. Recognizing our own tension and collision is one of the goals of our training so please be very aware as this is easy to forget. I would love to have input from all of you as to your experiences of the seminar.